The event will include amongst many other things, square dancing, puppet shows, street games, youth poetry slam, a pop up library and a collaborative art project. Important for any event is how it all gets put together. 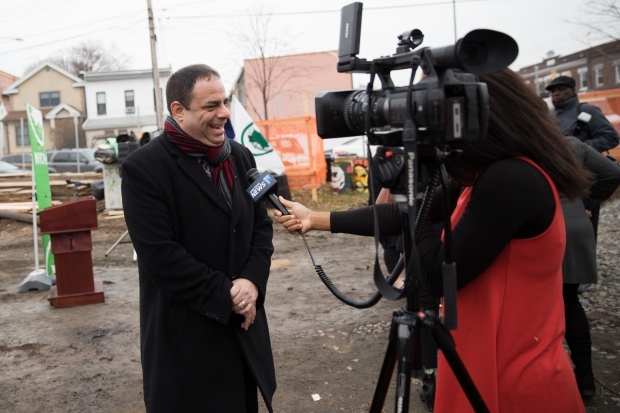 Much of this event is made possible by Councilman Costantinides, whom without his support we would not be able to assemble such great artists or interactive activities. The block party also features an important sponsor whom we would like to thank, ESSENTIA water. It took only a couple of minutes for Essentia to agree to support the event. Essentia will provide free water for the block party and provide information at their table. “Water from any source is passed through micro-filters, reverse osmosis and ultraviolet exposure to achieve a purity of 99.9%. Pure alkaline electrolytes are infused in trace amounts, creating a perfect blend and a clean, smooth taste. Our proprietary ionization process removes bitter-tasting acidic water ions, producing an ionized 9.5 pH or higher alkaline water. Our ionized alkaline water has been scientifically shown to be more effective at rehydrating”. Thank you to all sponsors. Our events would not be the same without your support!